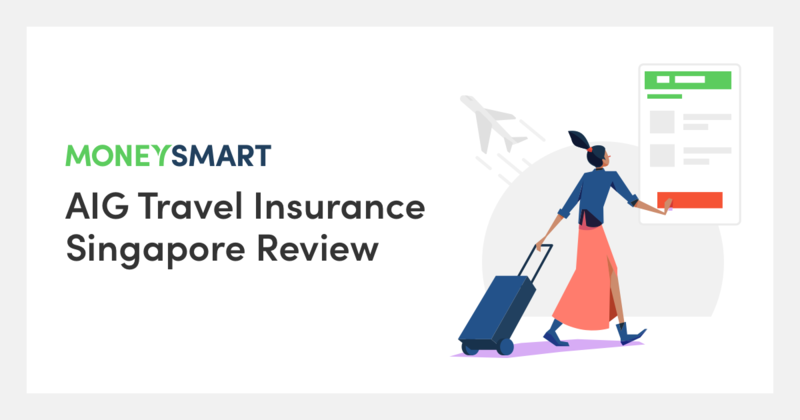 If you have ever gone on group tours through travel agents, AIG travel insurance (or the AIG Travel Guard plans) might ring a bell because this insurer works with a lot of agents in Singapore. For the risk-averse, it’s pretty hard to beat AIG for peace of mind as they have an in-house emergency assistance network of 24-hour emergency centres in 8 locations worldwide – whereas the overwhelming majority of insurance companies work with third-party rescue service providers like ISOS. Naturally, AIG travel insurance also has a reputation for being pricey. To combat this, they have introduced a lower Basic tier to try to capture the “price-conscious” (okay, cheapskates). I’ll take a closer look at the AIG Travel Guard Basic, Standard and Enhanced plans here. Note that there’s also a Supreme plan but I’ll skip it as it’s waaaay too expensive for us peasants. Unlike many other insurers, AIG hardly has any direct-discount promotions. But that’s probably because the AIG Travel Guard Basic plan is already affordably priced, similar to or only very slightly steeper than basic plans from NTUC Income and FWD. However, other than the basic plan, everything else is pretty expensive. Currently, the only promotion they have is that you can earn KrisFlyer miles with your AIG Travel Guard plan. Uhm, sorry, but I’m unimpressed. If you get the Enhanced (or Supreme) plans, however, you will get free unlimited overseas wi-fi under United Networks. That’s pretty handy, I guess. One thing to watch out for is AIG’s zoning system, which is different from others. For example, Thailand is counted as a 2nd-tier country, while Australia and Japan are in the most expensive tier, so if you’re going to these countries you’ll pay a LOT more than comparable plans in the market. On the flip side of the coin, South America will be an absolute steal. What does AIG travel insurance cover? There’s a very good reason why AIG Travel Guard Basic is so cheap. The coverage is damn jialat. $100,000 for medical coverage borders on risky, $50,000 for evacuation is plain scary, and you won’t get a cent if for death or total permanent disability. Avoid it like the plague. To get decent coverage, even if you’re only travelling around the region, you’ll definitely want to get at least the Standard plan. Even so, its limits aren’t that high. For example, $500,000 for evacuation is just stingy. Despite all these caveats, some travellers will still go for AIG because of they are reputed to provide extremely good and prompt rescue services, in case the worst happens. Outdoor activity Covered by AIG Travel Guard plans? AIG covers some sports and adventure activities done at leisure level, including sailing, hiking, skiing, snowboarding, white water rafting and scuba diving. That should be good enough for most travellers. But there are some restrictions for aerial/airborne activities. You can go parachuting or skydiving with registered companies but forget about hang-gliding, paragliding, etc. The list of covered activities and their limitations is in the AIG policy wording. Looking to buy AIG travel insurance? Compare all Singapore travel insurance policies by price and coverage first. Online claims: Submit your claim with supporting documents through their online form. Hard copy claims: Download the hard copy claim form and mail them with your documents to Travel Claims Department, AIG Asia Pacific Insurance Pte Ltd, AIG Building, 78 Shenton Way, #07-19, Singapore 079120. Things to note: Claims must be made within 30 days of the event or incident. Refer to AIG’s travel insurance claim page for claim forms, procedures and required documents. AIG usually settles straightforward claims within 10 business days. If it takes longer, you will be updated by email or post, or you can call the AIG travel claims hotline at +65 6224 3698. Conclusion: should you buy AIG travel insurance? In all honesty, the AIG Travel Guard plans offer really poor value on their Basic plan, and only so-so on the Standard plan. So if you’re looking for a cheap and good deal, you can skip AIG completely. The basic plan may be cheap but it is most definitely not good; while the Standard plan is acceptable but a good deal pricier than similar products on the market. The only reason you might want to get the low- to middle-tier AIG travel insurance is if you booked your trip via a travel agency and they have some kind of exclusive discount that’ll put it back in the competition. That said, the upper-tier travel insurance plans have surprisingly good coverage, so if you want to buy from AIG, go big or go home. AIG seems to concentrate all their resources on the upper tier plans. Plus, in terms of turnaround time, AIG is not bad – they’re willing to commit to a 10 working day turnaround time from claim to settlement. They’re not the only ones who do this, but it’s better than nothing. Do you swear by AIG for travel insurance? Tell us why or why not in the comments below.